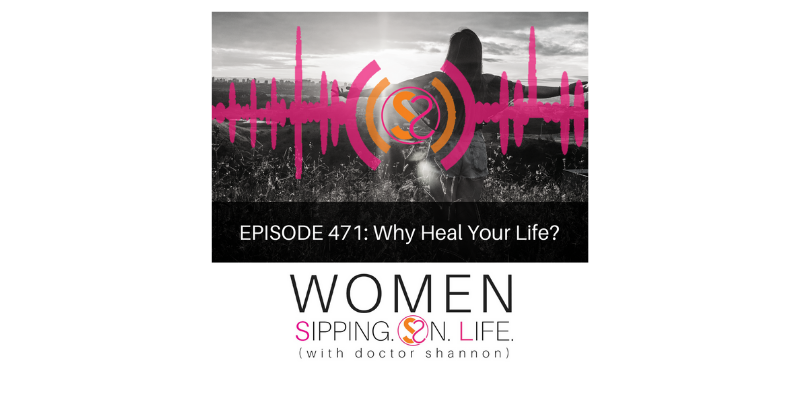 EPISODE 471: Why Heal Your Life? There’s no greater freedom, and full expression of life, than healing from the inside, out. If you desire to live your life well. you must heal your LIFE well. 1. You are a life. 2. You are living a life. Don’t focus only on the outer life that you’re living. If you desire your outer life to change, then you must first HEAL your LIFE on the inside. Until your INNER life changes, the outer changes will only be temporary. Yes, you’ll GO through life. However, you won’t necessarily GROW through it. Going through something is not the same as growing through it. Going through IT doesn’t make you a healer, but healing through it does. Take a look at your life right now and identify an area that needs healing. Not because it’s broken, or S-I-C-K, but because there’s room for change in your lifestyle — you desire a change on the outside. Trace it back to your INNER LIFE, and focus on healing you LIFE there first. Look at the changes you desire, from the inside out. By the way, if you haven’t already listened/downloaded my new song (EPISODE 291), you can also listen to it here: letsnottalkaboutex.com, and cast your vote for your favorite version.